Stand out from the crowd in our super soft and stretchy ribbed beanie with turn back detail. 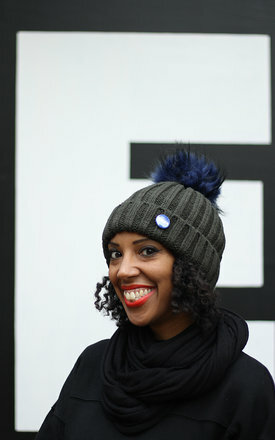 The pompom is detachable (it has a hidden press stud and popper system which allows you to pop it on/off the beanie). 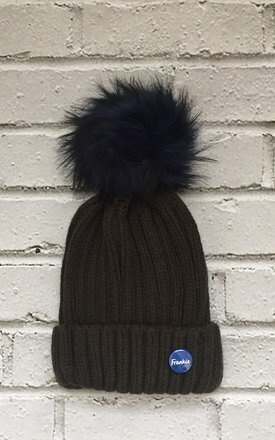 Choose the pom colour you want from: Black, Cream, Faux Fox (shown), Grey, Navy, Pink, Red, White and Yellow to create your own bespoke beanie. Comes complete with a Frankie branded button badge which can be removed.